Aya has lain a gaming challenge at Tsukasa’s feet. Kaname suggests they teach Nasa to play, since his primary gaming experience is Solitaire and Minesweeper. Tsukasa shows him, then easily defeats him. Kaname replaces him, but she too is easily defeated by Tsukasa. Tsukasa then tells Aya to bring it on. Aya is initially worried, but she accepts the challenge. To Tsukasa’s surprise, Aya defeats her. Kaname and Nasa resume eating while Aya trounces Tsukasa twenty times. As such, Tsukasa demands a game change and produces a different console. Aya is at a disadvantage because she’s not familiar with the game, or the console’s controller. Tsukasa defeats Aya, but Aya refuses to quit. Nasa notes the action and wonders if Aya can win. Kaname replies that although Aya is a ditz, she’s actually a genius at learning new games. This surprises Tsukasa, but she rises to the challenge. Afterward, the two girls lay down exhausted, but acknowledge each other’s skills and do a fist bump. 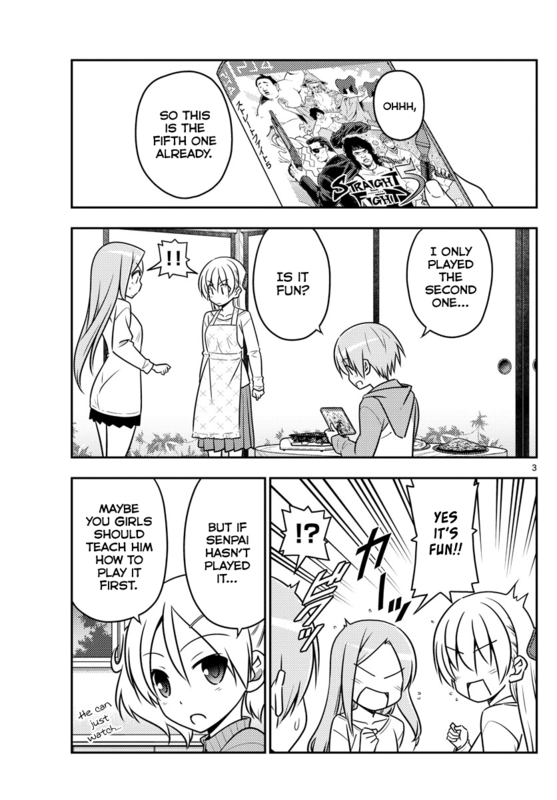 Hata-sensei continues to roll out the fun in Tonikaku Cawaii chapter 42. This time, it is a battle royal, though only two contestants really matter. I have to say that I really didn’t know what to expect when it came to Aya challenging Tsukasa at the end of the last chapter. I only knew that somehow, Tsukasa had to prove herself to be worthy of the title of Nasa’s wife. To that end, I like how Hata-sensei handled things. 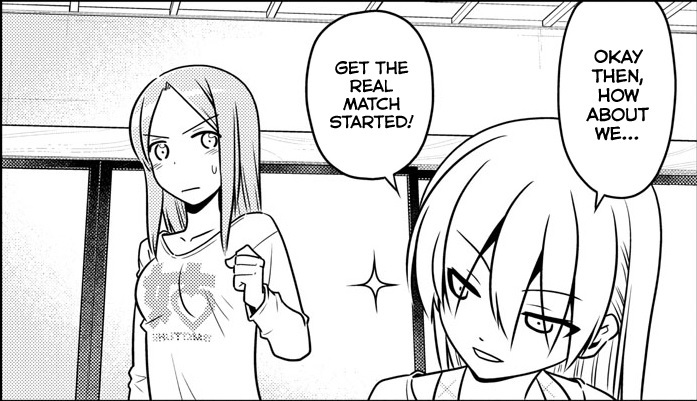 He initially had Tsukasa show that when it came to the one fighting game, she knew her stuff. But then Hata-sensei had Aya come in and stomp Tsukasa. It was a great moment because Tsukasa realized that Aya was no joke. Yeah, short, but let me wrap up my review of Tonikaku Cawaii chapter 42 with a final few thoughts. I actually laughed out loud when Nasa said the two games he played were Solitaire and Minesweeper. Both are old Windows games for the PC. Heck, you actually have to download Minesweeper if you want it today. 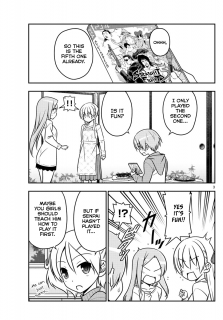 In the end, Tonikaku Cawaii chapter 42 was a fun chapter, allowing Tsukasa to prove her worth as Nasa’s wife, but to befriend Aya as well.